If you are planning a trip to visit our magnificent Country of Scotland and wish to experience magical sights of the land in the most sophisticated way. Then, look no further!! Our Executive Kilted Chauffeur/Guide enables you to experience the sights, sounds and the natural beauty of our land in the most luxurious way, allowing you to enjoy every bit of your journey, sit back and relax. Additionally, we are committed to deliver you an exclusive service by saving you from packed tourist buses and following the crowds, allowing you to enjoy the sophistication of a private tour, served by our very own experienced and passionate Kilted Chauffeurs in the most efficient way. The Kilted Chauffeur ensure to provide you with a memorable tour, allowing you to explore the unseen sights of Scotland. We assure to provide an additional level of comfort and elegance to your tour. Over the years, we have been delivering intuitive travel solutions, allowing our customers to witness our beautiful county in style and comfort. We take pride to label our self as one of the leading and premium luxury travel service provider in Scotland. 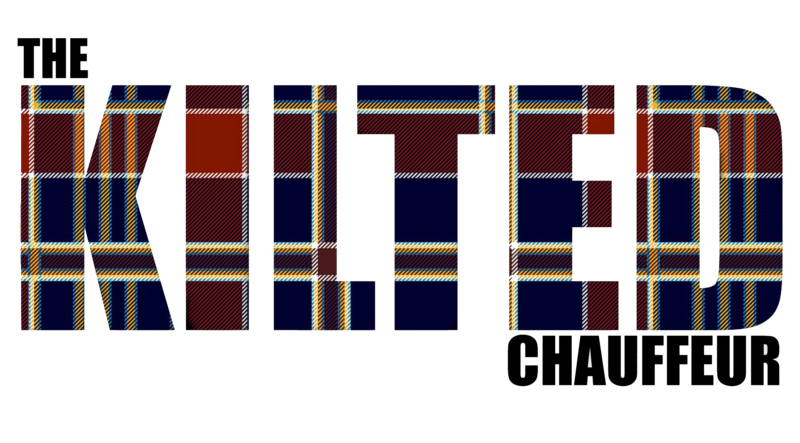 What to expect from your Kilted Chauffeur/Guide tour. • Select from our suggested day or multi-day tour itinerary. • A courteous, discreet, passionate and knowledgeable Kilted Chauffeur/Guide with a minimum of 40 years experience. • All our vehicles are stocked with mineral water for your comfort. Edinburgh – Edinburgh Castle, The Royal Mile, Holyrood Palace, Royal Yacht Britannia and the amazing, panoramic views from the top of Arthurs Seat, Rosslyn Chapel and much more. Golf Transfers – Day or Multiday, St Andrews, Carnoustie, Muirfield, Archerfield, Turnberry and many more…. We at The Kilted Chauffeur are only too happy to help. We cannot wait to be part of your journey!